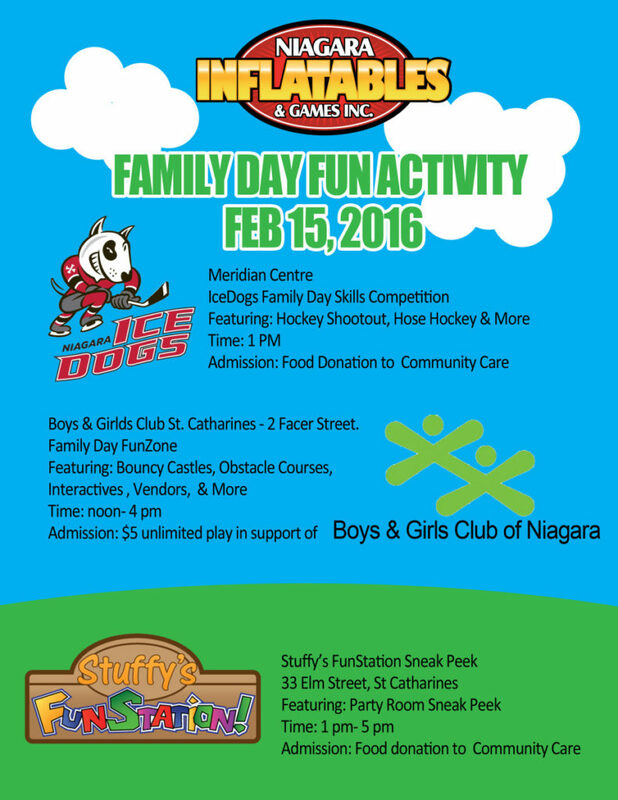 Family Day is a week away and Niagara Inflatables has 3 fun events for you to come to. We’ve partnered up with the Boys and Girls Club of Niagara, the Niagara Ice Dogs and have a special sneak peek at the new Stuffy’s Fun Station party room and escape room to bring you the most fun possible. Here’s the poster for the day. See you at one or all of these fun events! Come back to this page or message us on Facebook for event updates.